For two of our nephews, we decided to get them a gift card. 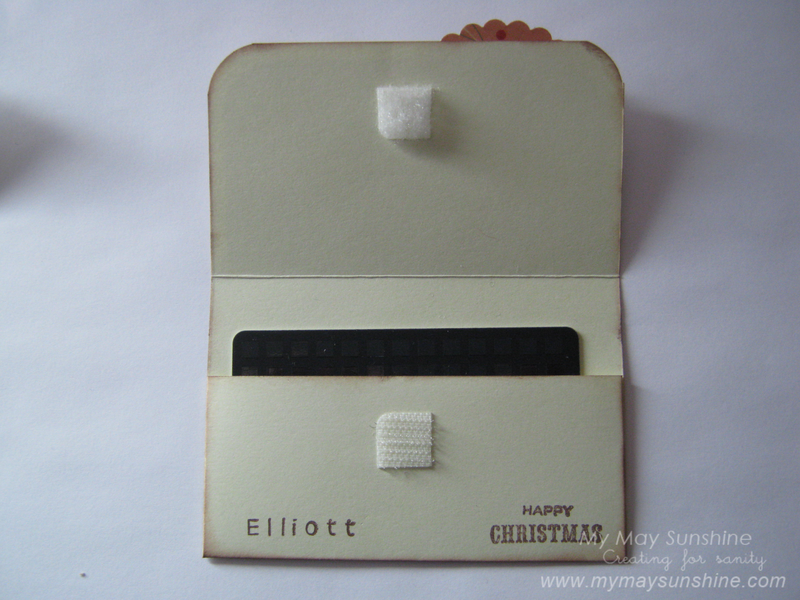 The gift card came in a tatty envelope so I decided to make a gift card holder for them. It was quite easy to make as I go the template from Kerry’s Paper Crafts. 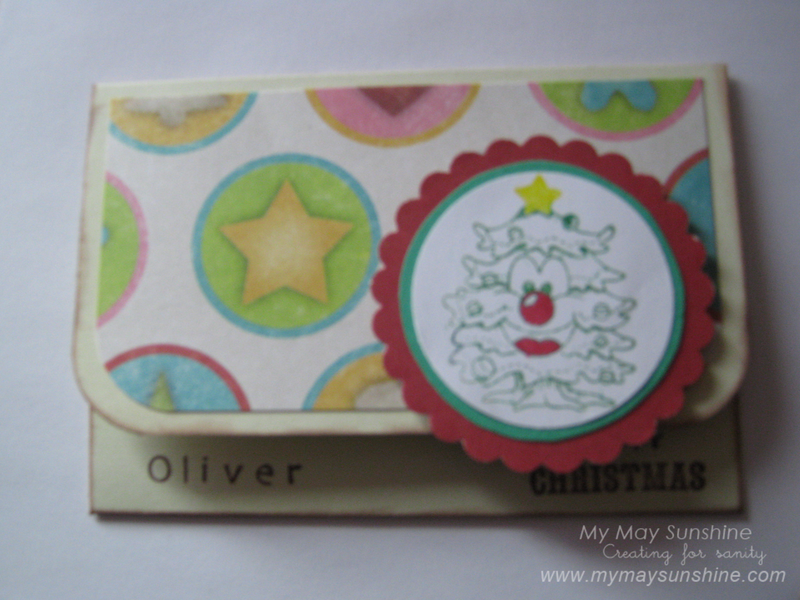 I used a piece of patterned paper from Dovecrafts fancy Christmas and added the scallop circle with the stamped tree. The alphabet stamps are from Stampendous and the happy Christmas stamps are from Personal Impressions. To make sure that the holders stayed shut, I used a piece of Velcro. So now I had a much better way of presenting the gift cards and they were personalised too. Previous Post Sprucing Up Notepads.